tip #04 showed how to use libraries to easily store text and object styles and add them to other files. 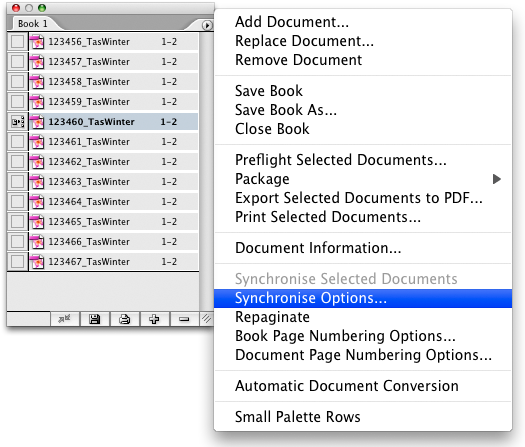 here are a couple of other ways to copy styles from one file (source) to another (destination). 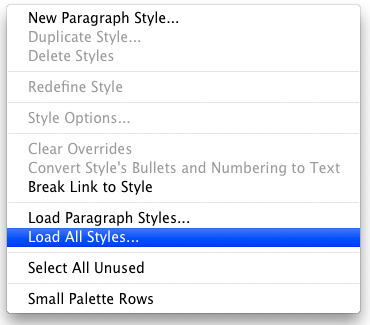 paragraph styles are marked ‘¶’, character styles are marked ‘A’. 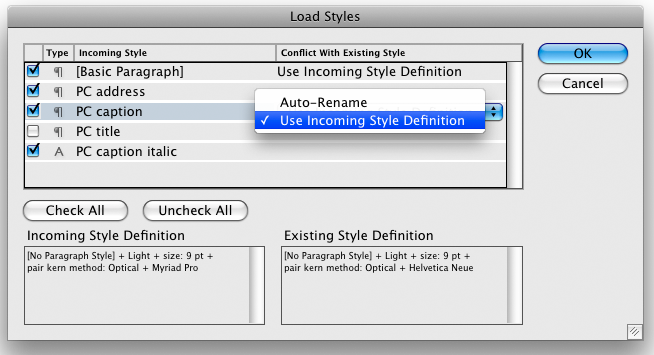 check the boxes next to the styles you want to import. 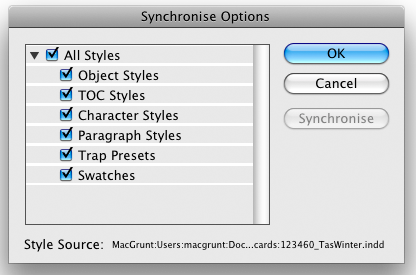 any style conflicts are highlighted at right and you can choose how to deal with these. you can select a style to see the specs for the incoming and original versions at the bottom of the window. you can also do a similar thing from the object styles and table styles panels. NOTE: in the case of style conflicts, this method WILL use the source file’s versions and override all destination versions without warning. 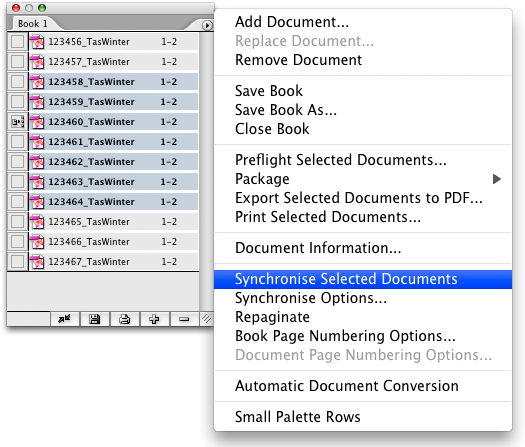 that’s the beauty of this method — it makes the styling in all documents identical. once you’re done you can trash your book file — it’s served its purpose. 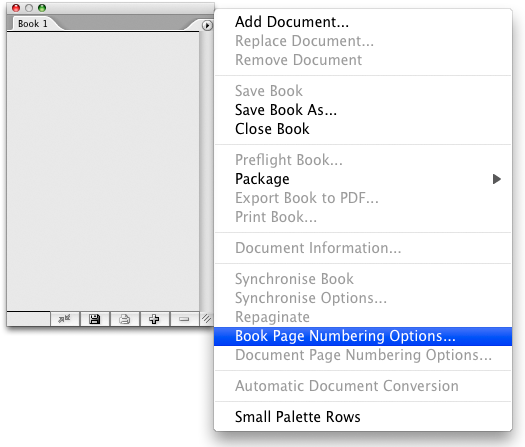 This entry was posted in indesign, indesign tip and tagged adobe, character styles, how to, InDesign, paragraph styles, tip, tutorial by macgrunt. Bookmark the permalink.